Our college has adopted a village ‘C.G.Pudur’ which is near K.G. 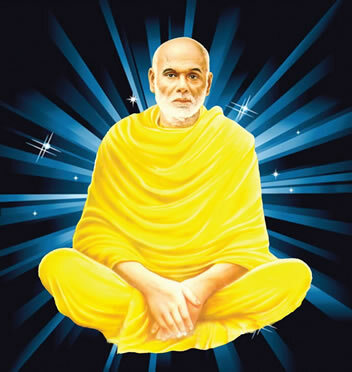 Chavadi. The PG & Research Department of Social Work Inaugurated the “SREE NARAYANA GURU SOCIAL WORK EXTENSION CENTRE” on 02.10.2016. 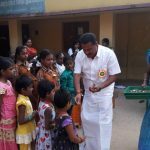 Ettimadai A. Shanmugam M.L.A, Kinathukadavu, was the Chief Guest. Dr K.V.Surendran,Principal and Dr. K.S.KrishnanUnni, Management Trustee, SNGET, were present on the occasion. Chief Guest: Honourable Ettamadai A.Shanumugham M.L.A. of Kinaththukkadu was the Chief Guest. Former ward Councilor of Ettimadai Panchayath,Smt. Padamavathi Senathipathi, graced the Celebration. Headmistress, Padmaja, welcomed the gathering. Dr.I.Maria Yesuraja, Associate Professor and Head, Department of Social Work, felicitated the gathering. Assistant Professors, Nikhitha, Bellaro John Regan and Nandhini Devi participated in the programme. 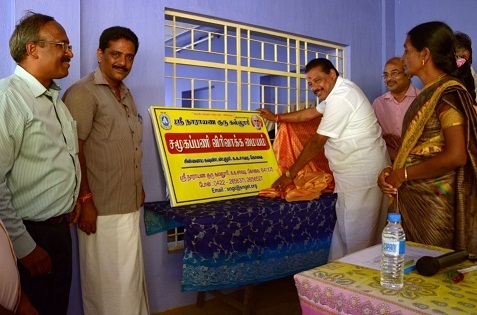 Inauguration of Free Computer Literacy was organised during October,2016. As part of extension activity the PG & Research Department of Social Work organized one day trip to Malampuzha Dam, Palakkad on 21.01.2017 for the children who come for evening classes and computer classes to our extension centre.